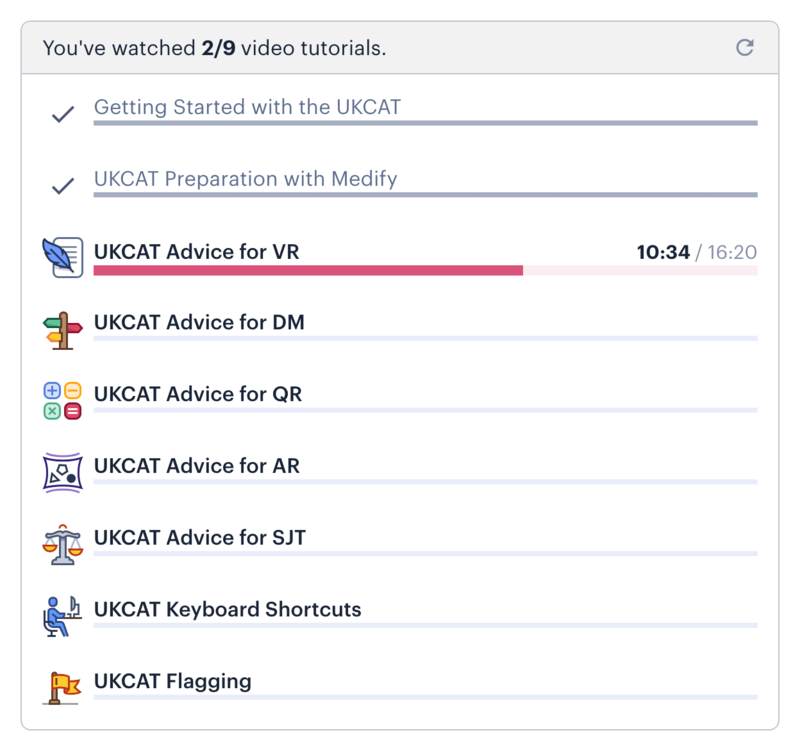 1 in 3 applicants prepare for the UCAT with Medify. Know someone studying medicine? Ask how they prepared. 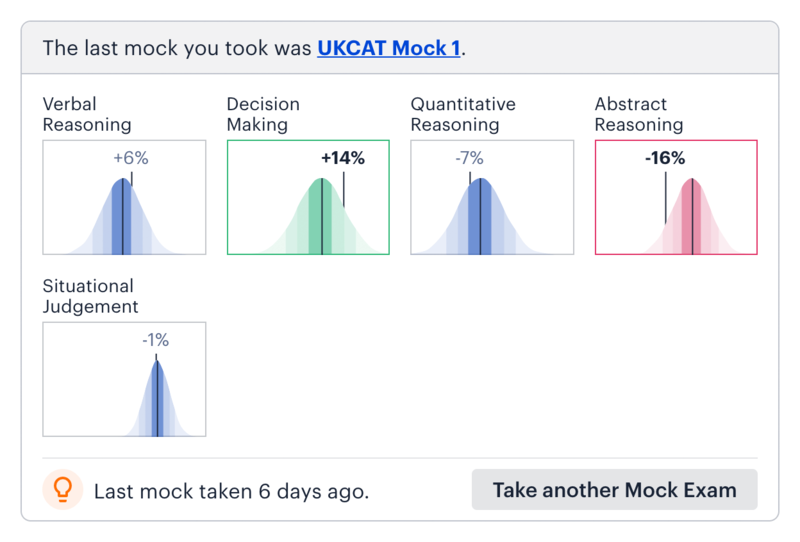 The UKCAT is now the UCAT. It's the same test with a new name. Already using Medify? Log in. Learn the ins-and-outs of the UCAT with video tutorials. “Practice makes perfect”, but what should you practise? 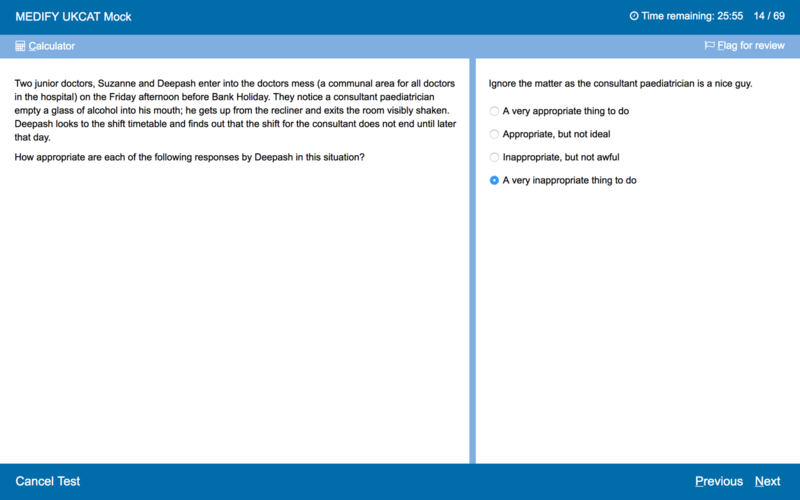 Simulate the real thing with the most accurate exam replica. Review your performance to focus your attention. Hear from the experts on how the test is structured and how to handle each part. Theory won't take the exam for you. Practise, identify your weaknesses, and see yourself improve. Take control of your practise with the ability to mix topics, focus on a single sections, or an area within a section that you find particularly challenging. When you’ve covered the basics, practise with time-pressure to optimise your score. 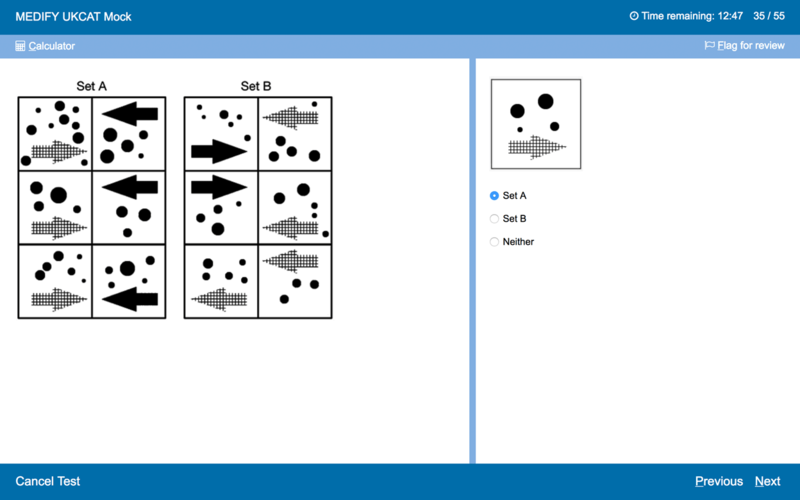 Simulate the UCAT with our powerful replica. 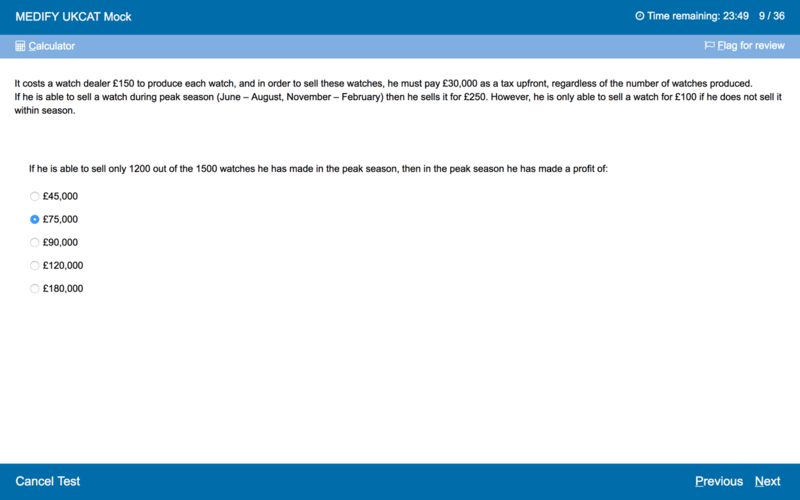 The UCAT is less intimidating if you've done it before. Experience the next best thing under timed conditions with our single-use, quality-assured mock tests. All with detailed explanations and performance feedback. For when you're short of time or want to focus on a single section. Avoid surprises on test day: we keep up-to-date with the keyboard shortcuts, calculator, and question presentation. 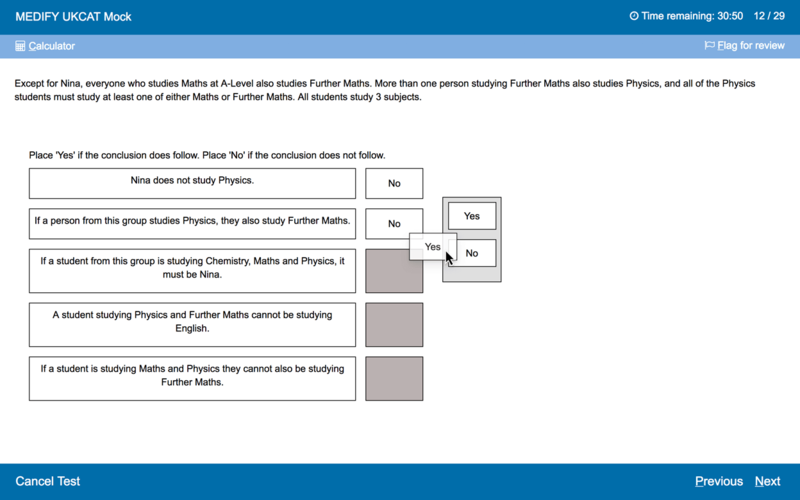 Extra time available for instructions and questions just like in the real test. 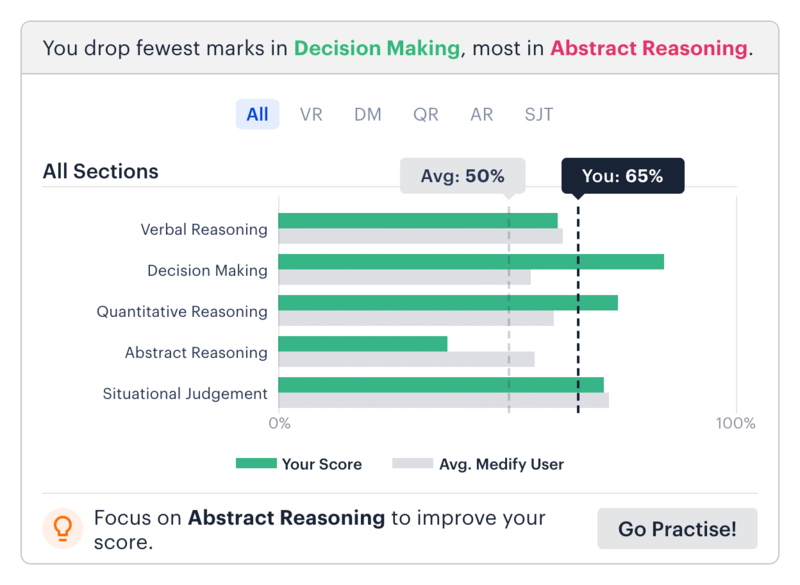 See your progress with our trackers and statistical insights. Highlight your strengths and weaknesses to make better use of your time. Track your progress through the tutorials, and make sure you haven’t missed anything. Make the most of the time you have left. 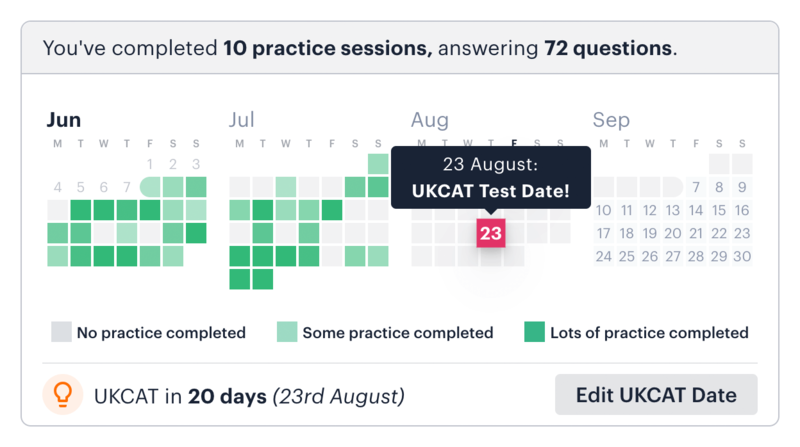 Establish streaks, avoid missing days, and see how long until your test. 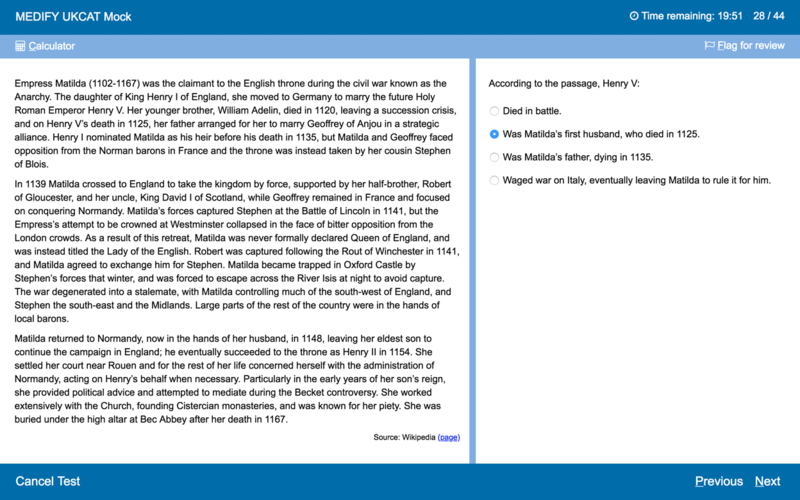 Compare your mock scores with other Medify users, past and present. We break down each section into topics, and show you your strengths and weaknesses. 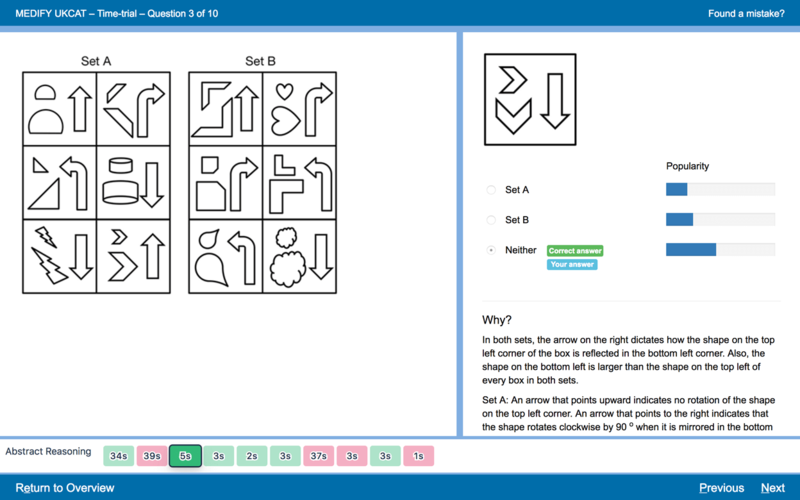 Never stop improving your score, with 10239+ questions. Each question comes with an explanation, time-taken data, and comparison to how others responded. These are guaranteed minimums. You may get more. We take the quality and correctness of our questions seriously. Our staff use feedback from our many users to iron out any problems and to improve explanations. If you spot a problem it’s easy to leave feedback through an on-screen form. Medify’s affordable prices level the playing field. Since our humble beginnings in 2009 we've been committed to social mobility and widening access to medical school. We provide everything you need for the UCAT: tutorials, the largest bank of questions anywhere, expertly written mocks, and time-saving performance analysis helping you find your vulnerabilities. All at an affordable price, available wherever and whenever you can get online.